Once Upon a Tree is a small company founded by by Paul Cerny, based out of Houston Texas. 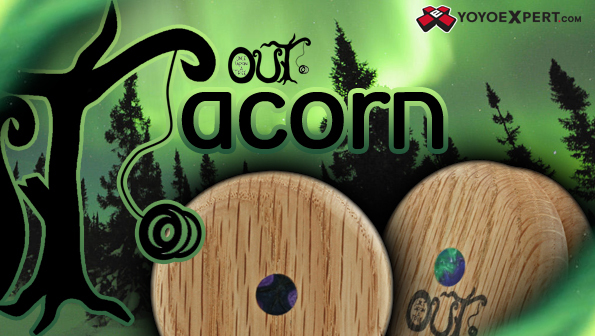 He creates some amazing hand-crafted wooden skill toys (The VooDama) and beautiful fixed-axle yo-yos. And the latest creation to come out of the O.U.T. workshop is the Acorn! With its smaller size, narrow gap, and unique profile shape this fixed axle throw has a completely unique feel and play style. The Acorn is a swift little moon-shootin' looper with a secret passion for stalls. The fun undersized Acorn is the perfect pocket throw, a must have for any fixed-axle collection!